The MPU-6050 Module utilizes both an accelerometer and gyroscope for control over six axes, and can be enhanced to 9DOF with a magnetometer. 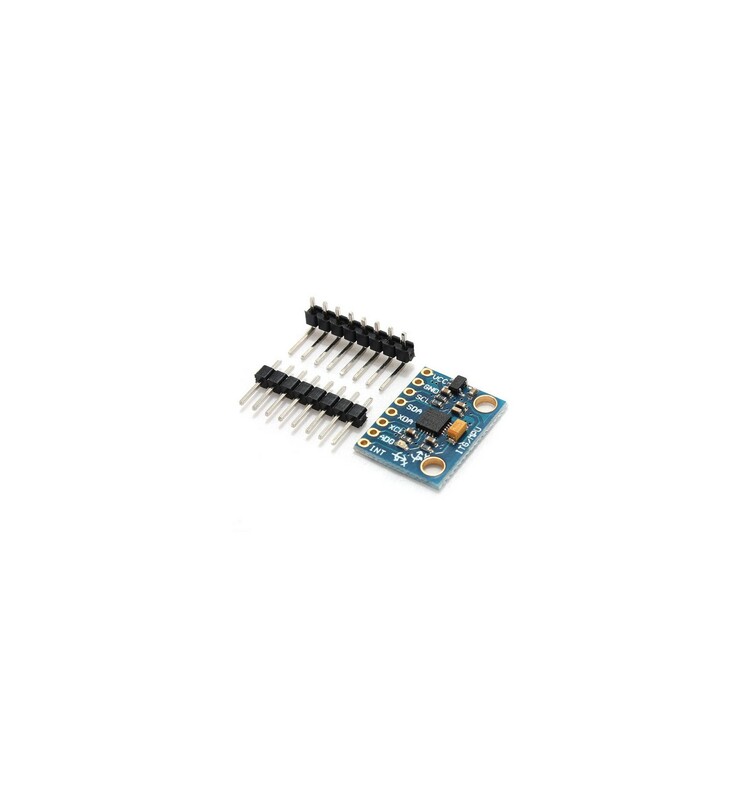 The MPU-6050 Triple Axis Accelerometer and Gyro Breakout is a module capable of measuring 6DOF, or six degrees of freedom, via an integrated accelerometer and gyroscope within a single chip. It operates on 3.3V DC and has two internal I2C Buses – one to interface with Arduino Boards and the other to read and relay additional Sensor Components. 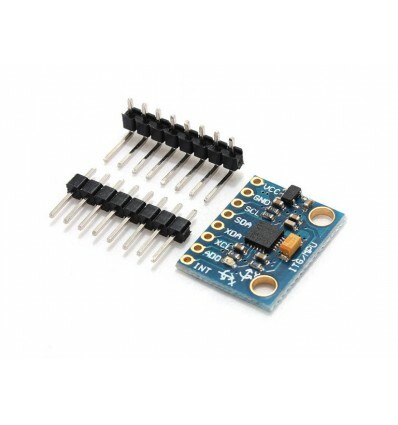 What makes this module so valuable, despite its low cost, is that it is very compact, it’s capable of measuring and relaying speed and tilt easily to Arduino boards or Shields, and can even receive additional measurements from a component like a magnetometer before performing complex calculations and delivering only the desired results. However, before delving too deep into the DMP or ‘Digital Motion Processing’ unit, be sure to do your research, as InvenSense don’t supply enough information on how to utilize the unit – as a way of discouraging less experienced users. The information and firmware is available though, so if you are eager to use the MPU-6050 to calculate the values before delivering them to your Arduino board, then you will be excited to know that it’s not only possible, but native to the module. Building remote control helicopters, submarines and other vehicles with high manoeuvrability. Creating a glove that acts as a controller for vehicles like aircraft – where the subtle motions of your hand control the vehicle. Designing your own light-sabre or fun iconic toy from the past that reacts and makes appropriate noises when swung or hit against objects. These of course are just a few of the exciting projects that Makers have enjoyed with the MPU-6050 Breakout Module, and there are surely many more for you to discover yourself. This module also comes pre-packaged within our Arduino Kits, which are the ideal packs for beginners to learn from, or for veterans to expand their toolkits with.